1. Devika Malik, India was awarded the Women Transforming India Award by UN India. She founded Wheeling Happiness to enable people with disabilities from economically underserved communities to reach their full potential. 2. Laura Ulloa, Colombia played a critical role in shaping UNICEF's #ENDviolence Youth Manifesto. Laura drew from her experiences being kidnapped by the FARC during the country's civil war. 3. Dr Shakira Choonara, South Africa discussed her appointment to the inaugural African Union Youth Advisory Council on eNCA. 4. Charif Hamidi, Morocco was nominated as a Top 50 Finalist for the 2019 Global Teacher Prize sponsored by the Varkey Foundation. 5. Grace Forrest, Australia, one of the Young Leaders Against Sexual Violence leaders, was a key driver in ensuring the Modern Slavery Bill became an act of Parliament. 6. Kehkashan Basu became the youngest recipient of Canada's Top 25 Women of Influence. 7. Roxie Nafousi and Ananya Birla and Cassie Snelgar were featured by Verge on their work on Mental Health after attending OYW 2018. Read more. 8. Atoka Jo, Japan was selected as a 2020 Schwarzman Scholar. 9. Hyppolite Ntigurirwa, Rwanda spoke at the Peace Summit of Emerging Leaders 2018, at the UN Conference Centre in Bangkok. 10. Shilpa Yarlagadda, USA's Shiffon Co ring was worn by Michelle Obama! That ring on @michelleobama’s pinky is not just a piece of jewellery, it’s a statement to support women globally. #OYW Ambassador Shilpa Yarlagadda’s @shiffonco has made giving back the new luxury - half of all profits from their Duet Pinky Rings fund startups that support women & their economic empowerment. Michelle Obama joins a global network of #GirlGang champions, including a number of OYW Counsellors. Swipe to see who. 11. Kasturi GVL, India wrote for Project Syndicate on why India’s rickshaw is a solution to the dangers and barriers to work faced by women in public transportation. Read here. 12. Willice Onyango, Kenya spoke with the EU Ambassador to Ethiopia, Johan Borgstam on Africa’s future, at the European Investment Bank. 13. Jaha Dukureh, Gambia is laureate of the North-South Prize of the Council of Europe 2018. Jaha is the Founder of ‘Safe Hands for Girls’ an organisation providing support to African women and girls who survive Female Genital Mutilation (FGM). She is responsible for the Gambian Government’s ban on FGM. Read more. 14. Luke Hart, UK wrote an article on the responsibility of men to speak out against toxic masculinity for the Huffington Post. Read his piece. Luke’s mother and sister were killed by the violence of his father. In the article, he calls for the responsibility of men to speak out against toxic masculinity that breeds violence and coercive control. 15. Martine Kessy Ekomo-Soignet, Rwanda was officially appointed expert to the Government of Rwanda for the review of their youth policy. 16. OYW was represented at the EU Commission‘s event on ending violence against women where we discussed our Young Leaders Against Sexual Violence program. 17. Neeshad Shafi, Qatar attended COP24. 18. Mozamel Aman, Afghanistan’s DCI Digital Career Institute was recognised as Germany's top 3 most sustainable organisations. 19. Congratulations to Virgin Fernando, Madusha de Silva and Umendra Abeynayeke for winning the RB Global Challenge 2019! As part of their win, they will take part in OYW 2019 London Summit. Learn more about the Challenge. 20. OYW Counsellors Caroline Mutoko, CMO of Radio Africa Group, and Tegla Loroupe, World Marathon Champion, served as judges for Kenya’s Google Impact Challenge. Read about the winner. 21. 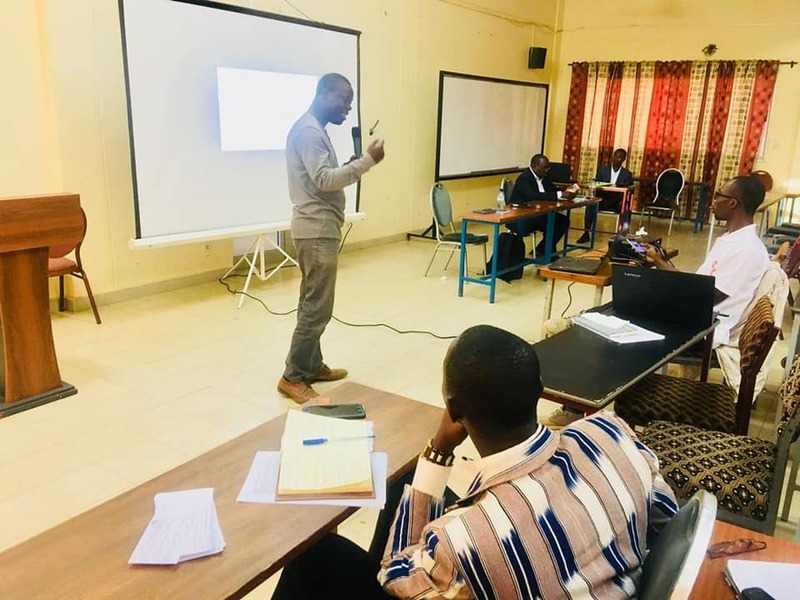 Representing the European Commission Peace Ambassadors, Sougourounoma Henri Kabore, Burkina Faso hosted an event on “Terrorism and Human Rights: How to ensure peaceful and resilient societies." 22. 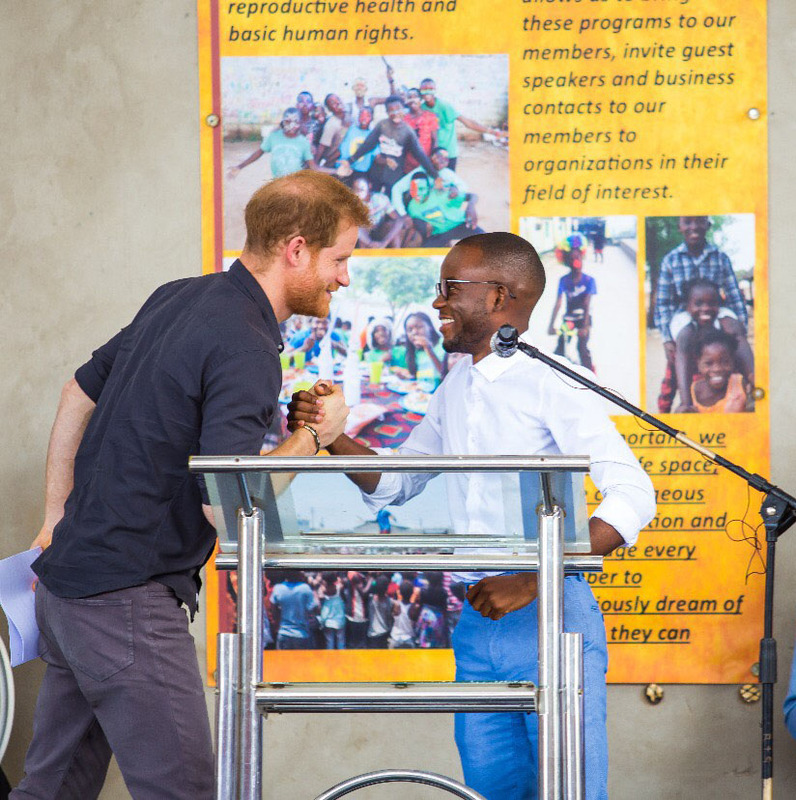 Brighton Kaoma, Zambia spoke alongside Prince Harry at a Queen’s Commonwealth Trust event. 23. 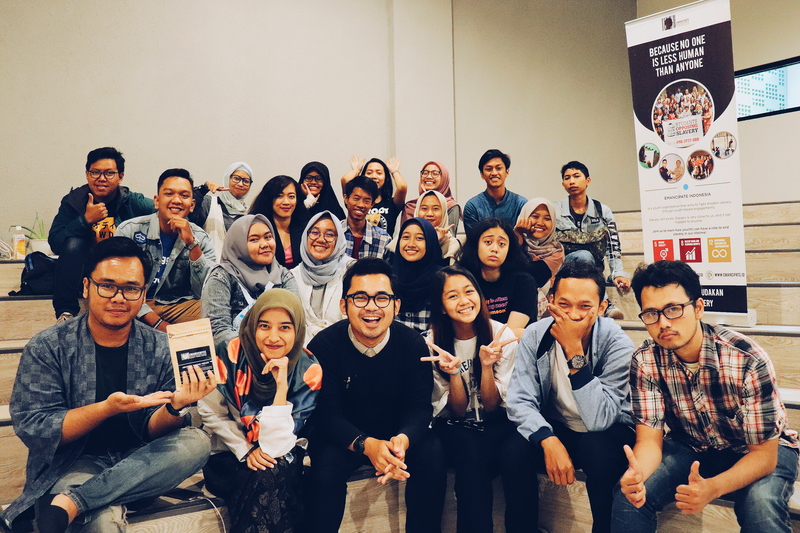 Margianta Surahman, Indonesia hosted a screening of Nobel Peace Laureate & OYW Counsellor Kailash Satyarthi's "The Price of Free"
The film focuses on Kailash's work to free Indian children from slavery. 24. 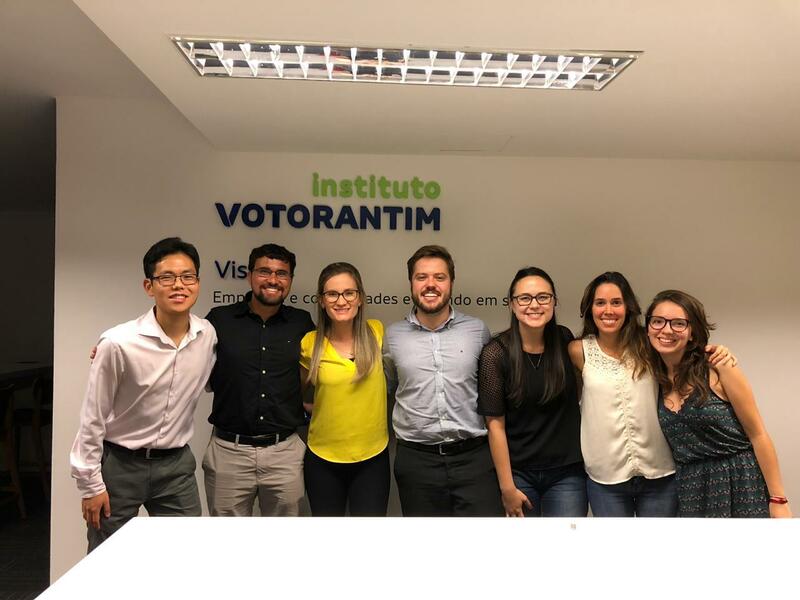 Led by Coordinating Ambassador for Brazil, Laura Fatio, OYW Ambassadors met with the prestigious Votorantim Institute. An exciting partnership is in the works!